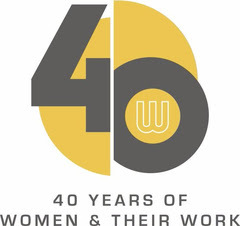 Women & Their Work is pleased to announce the artists selected for our 2019-2020 solo exhibition series. Chosen from a recent call for entries, these 9 artists were selected from a field of nearly 300 entries sent in from across the state. Each artist will create a new body of work for her exhibition. Jill Bedgood creates multi-media work that reflects her investigation of the dualities: of human nature, of dimensionality, of materials. The possibilities of human metaphoric transformation such as those that exist physically at dawn and dusk are a current conceptual interest as are the material possibilities posed by plaster and wax. Bedgood earned a BFA in painting and art history from Louisiana State University and a MFA in sculpture and art history from The University of Texas at Austin. She has received grants from New Forms Regional Initiatives and Art Matters, Inc and was a fellow at the MacDowell Colony, the Virginia Center for the Creative Arts, the American Academy in Rome, and the Rockefeller Foundation in Bellagio, Italy. Bedgood has exhibited widely throughout the US and internationally. 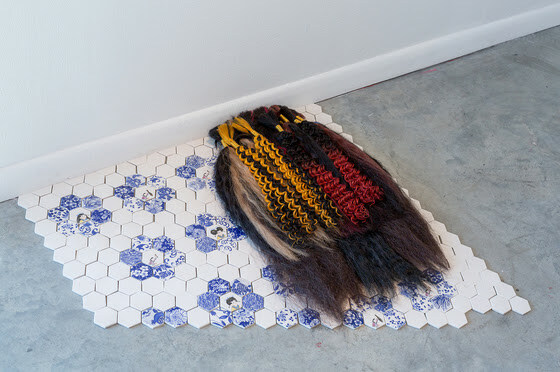 Jennifer Ling Datchuk is a ceramic sculptor and installation artist born in Warren, Ohio and raised in Brooklyn, New York. Her mother came to this country in the early 1970s from China; her father was born and raised in Ohio to Russian and Irish immigrant parents. 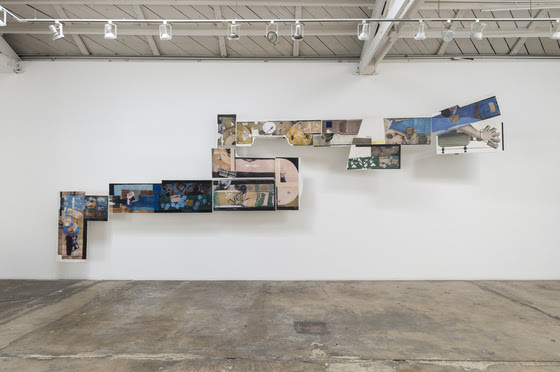 Beyond initial appearances, the layers of her parents’ past and present histories are extremely complicated; that history is one of conflict that she has inherited, and it is a perpetual source for her work. Datchuk holds a BFA in Crafts from Kent State University and a MFA in Artisanry from the University of Massachusetts Dartmouth. 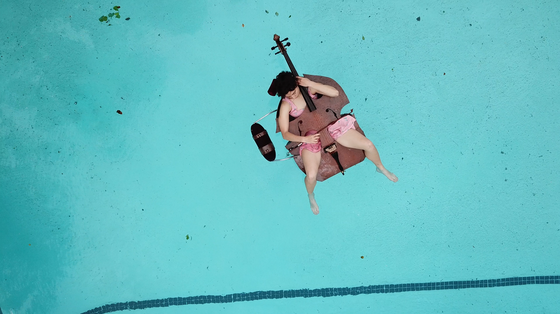 Shana Hoehn creates videos and installations that investigate how we turn to myths that reflect collective desires and anxieties in times of unease. Her narratives often identify and explore systems that oppress or maintain a status quo. She received a BFA in painting from The Maryland Institute College of Art and a MFA in sculpture and extended media at Virginia Commonwealth University. 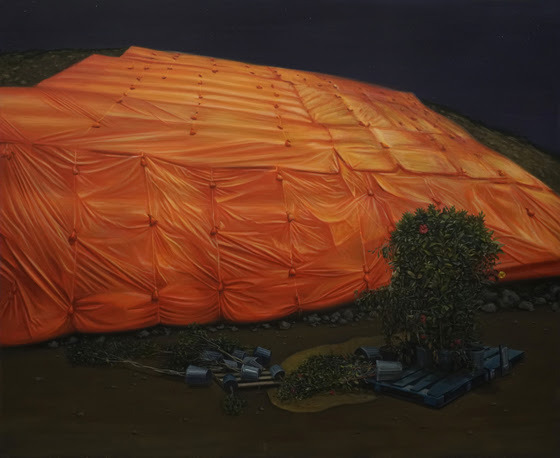 Hoehn has been in residencies at the Skowhegan School of Painting and Sculpture, The Artists’ Cooperative Residency & Exhibitions (ACRE), SOMA Summer, and the Core Program at the Glassell School of Art. 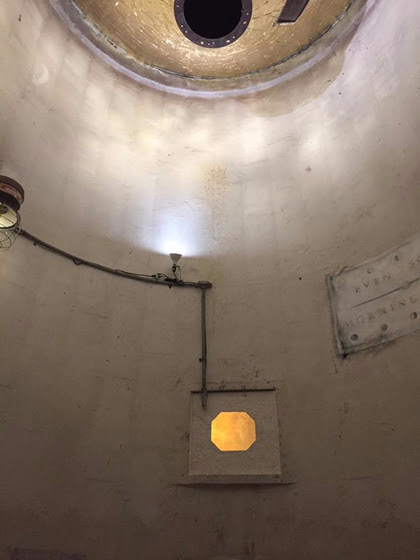 Hoehn is a recipient of a Fulbright Research Fellowship in Mexico, and grants from the Elizabeth Greenshields Foundation, the Foundation for Contemporary Art Emergency, and the Idea Fund. 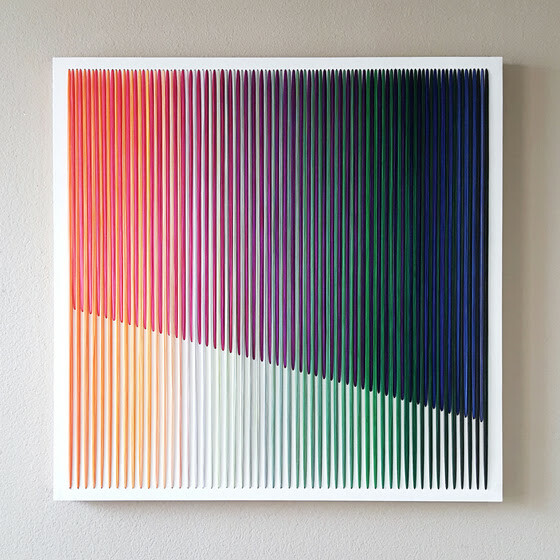 Bumin Kim expands the potential of drawing to push the boundary between a two-dimensional surface and three-dimensional space. Originally from Korea, Bumin Kim received a MFA in drawing and painting from the University of North Texas and remains in North Texas as an active member of the contemporary art community. In addition to numerous solo and group exhibitions throughout Texas, she has been featured at the Dallas Art Fair and Art Aspen. Her work is in both public and private collections in Texas and throughout the United States. Mihee Nahm creates oil and acrylic paintings that reflect the constant desire to retain, alter, or forget the past. Born and raised in South Korea until she was sixteen, Nahm’s sense of being a foreigner in the US for over a decade has led her to explore themes of memory, sense of place, and nostalgia. Nahm holds a BFA degree from The Art Academy of Cincinnati, and a MFA from the University of Texas at Austin. She has been in residence at the Vermont Studio Center and at Brush Creek Foundation. She currently lives and works in Grand Prairie, Texas. Working at the intersection of performance and sculpture with an emphasis on interactivity and technology, Rosa Nussbaum’s work explores the place where the (female) body touches the institution. Based in Austin, Nussbaum received a BFA from Wimbledon College of Arts, London, United Kingdom and a MFA in Studio Art: Transmedia from the University of Texas at Austin. She has exhibited internationally including a commission for Glasgow International 2018, Glasgow, Scotland; Affordable Dreamhouse at the Visual Arts Center, Austin, Texas; and Worldhack Installed at Babycastles Gallery, New York City, New York. 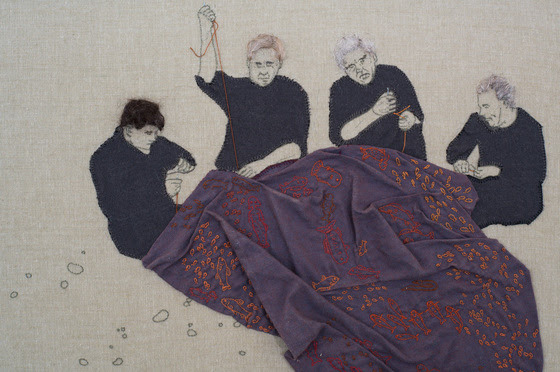 Like some sort of slow, slow drawing, Emily O’Leary’s samplers (her term for pieces of needlework made with a variety of stitches) depict scenarios that are modestly strange, a catalog of circumstances just on the edge of recognition or familiarity. Now based in Austin, O’Leary works mostly with fiber. She grew up in Massachusetts and received a BFA in Sculpture from the Massachusetts College of Art and Design in Boston before moving to New York City for several years. She recently earned a MFA at the University of Texas at Austin. 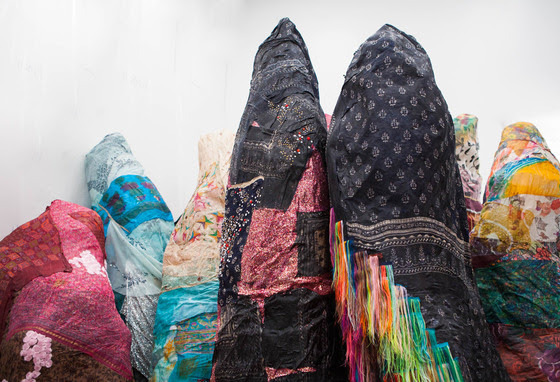 Preetika Rajgariah is an interdisciplinary artist whose practice explores themes of cultural identity, perceptions of exoticism, and gendered materiality while specifically referencing her upbringing as an Indian-born American. She has attended residencies at Artists’ Cooperative Residency & Exhibitions (ACRE), the Vermont Studio Center, and the School of Visual Arts. Her work was also included in issue 102 of New American Paintings. She has exhibited at a variety of spaces nationally such as Western Exhibitions, Roots & Culture, and Woman Made Gallery in Chicago, Illinois; Fort Gondo in St. Louis, Missouri; as well as Art League and Lawndale Art Center in Houston, Texas. She received a BFA from Trinity University and MFA from the University of Illinois Urbana-Champaign. Jade Walker creates sculptures and installations that often reflect the methods in which the body reacts to an assortment of inflicted traumas or natural progressions. The macro of the body and micro of each organ are often evidenced in small stitches and massive bulbous forms. 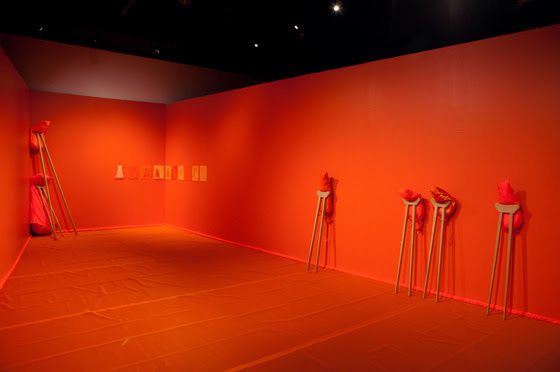 She has exhibited her sculptural artworks in the United States and Asia with her first solo museum exhibition at the former Austin Museum of Art in 2010. She received a BFA from the University of Florida and a MFA from The University of Texas at Austin. She was recently granted a fellowship with Dimension Gallery in Austin.